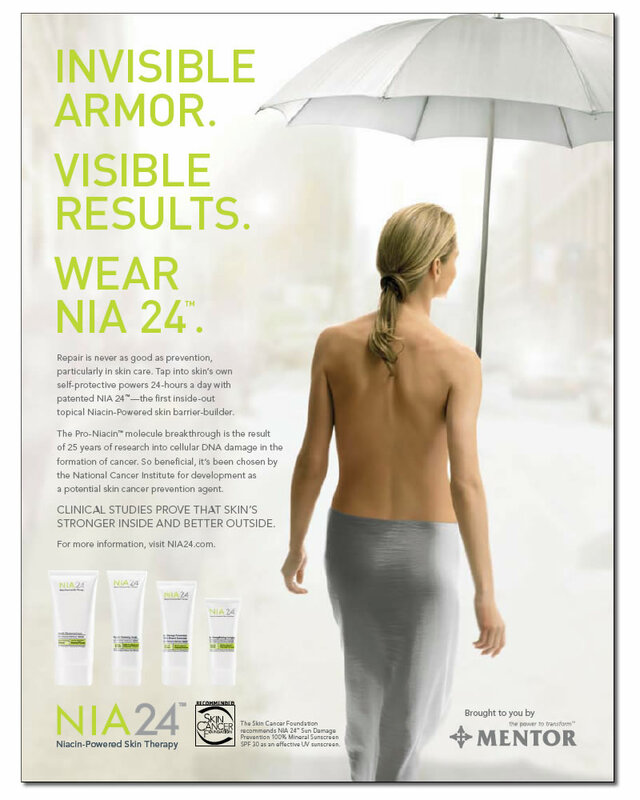 NIA24 is a full line of niacin based skin care products that helps to rejuvenate your skin. The basic treatment is the morning and evening application of niacin enriched products combined with other skin rejuvenating ingredients. The morning treatment contains titanium dioxide as a sun screen. The evening treatment adds additional moisturizers. Cleansers and exfoliating scrubs provide additional niacin exposure and enhance the effectiveness of the Skin Strengthening Complex. Additional products are specialized for the treatment of eyelids, neck and chest areas.